I'm not sure if ya'll remember the post about the Sketch Book Challenge my art friends and are doing, but I wanted to share my latest project. I'm thinking I'll do this in my art room with 3rd or 4th at some point! The assignment was to take a "Master" work as your inspiration and put a contemporary spin on it. 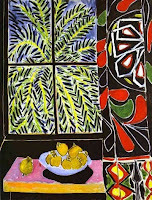 Matisse is my favorite artist, and I have always loved Egyptian Curtain! 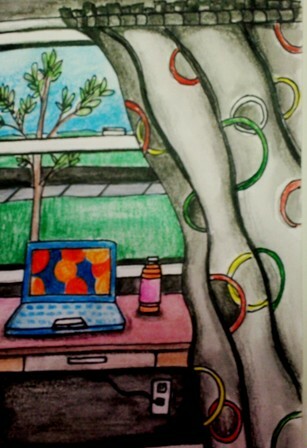 Check out our blog to see what some of the other art teachers are coming up with!!! I think it is so cool that you all are taking the time to do this and "nourish" the artist. I checked out the other blog -- just love the idea!! I agree with Christie - this is so cool. You are very lucky to have a tight-knit community of art teachers for your "Art Gang" - I'm sure you inspire each other all the time! I also checked out the other blog - what fun!!! Have you been to the High in Atlanta for the Picasso to Warhol exhibit yet? 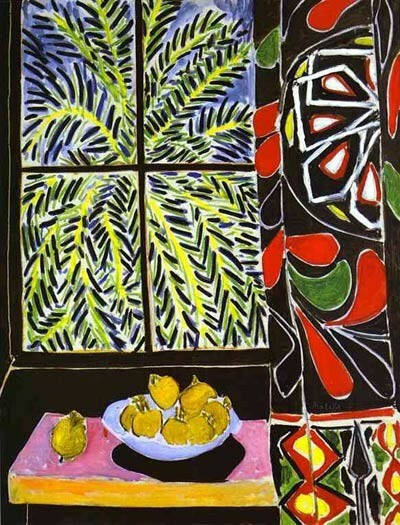 They have some Matisse!